IS Today Thee Stock Market Turn Day? 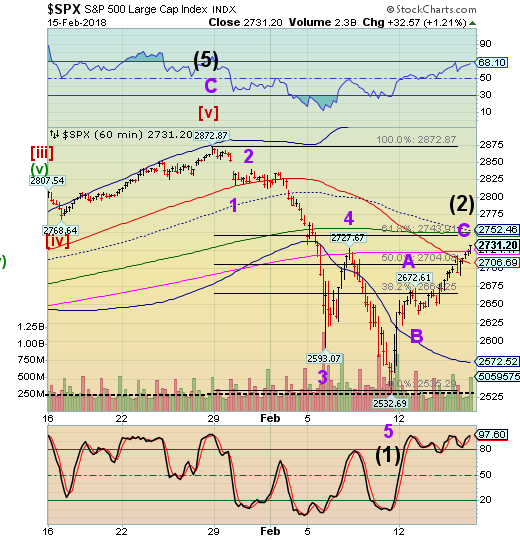 SPX futures were higher overnight, but appear to be coming back down as the cash open approaches. The total retracement was 58.5%, an overshoot that was carried by the all-pervading enthusiasm to buy the dip coupled with a stop hunt to remove any timid short sellers who thought they could protect themselves with stop-losses. 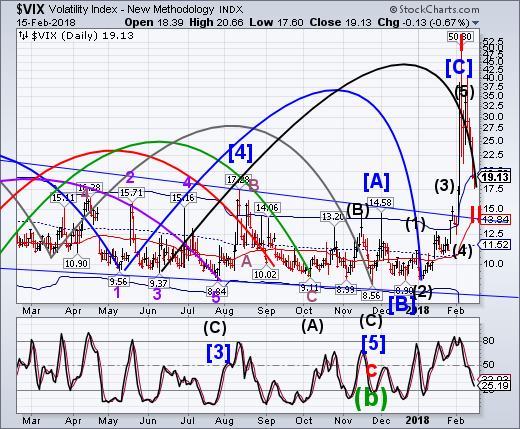 VIX futures pulled back but did not make new lows in the overnight session. At the present, the futures are nearing breakeven with the close, which is positive. TNX is pulling back from the high made yesterday. 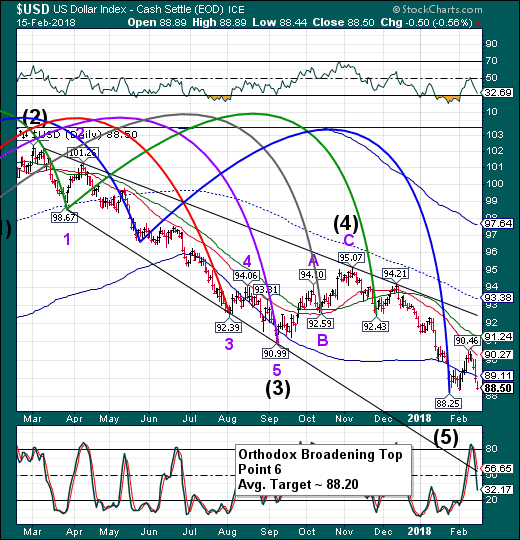 The Cycles Model suggests that it may be the Wave 3 high. 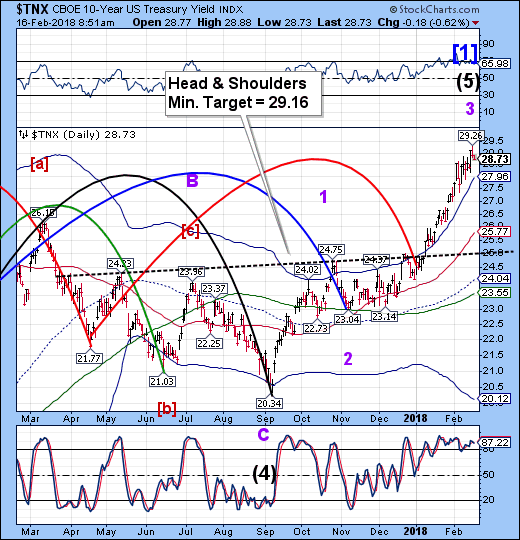 If so, we may see TNX decline toward the neckline at 25.00. ZeroHedge observes, “Earlier this week, GMO's James Montier repeated verbatim one of our recurring puzzling observations about the current market: while "a recent Bank of America ML survey showed the highest level of those citing “excessive valuation” ever. Yet despite this, the same survey showed fund managers to still be overweight in equities." Back in August, we called this just one of the many bizarre market paradoxes observed in the market. USD futures made a new low in the overnight at 88.16, hitting the point 6 target. It may not show in the cash market which won’t be reported until after the close. The Master Cycle low that has been recorded occurred on day 247, 11 days prior to the mean. Should there be a new low registered today, it will be 11 days after the mean (258 days). The real issue is that the USD shorts are overcrowded. The situation is ripe for a rip-roaring rally back to the Cycle Top at 97.64.